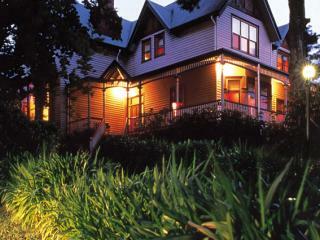 Offering luxury accommodation in an historic building on Macquarie Harbour in the charming village of Strahan, Franklin Manor enjoys a great range of onsite facilities on the outskirts of southwest Tasmania's World Heritage wilderness area, the Gordon and Franklin Rivers and a number of stunning natural attractions. Conveniently close to the shopping, dining and attractions of Strahan, Marsden Court offers self-catering Studio and Apartment accommodation in secure gated premises. Enjoying a handy range of onsite facilities, the hotel is just minutes from popular tourist and natural attractions including World Heritage listed wilderness. Offering beautiful terrace, cottage and loft accommodation in a picturesque historic town, Strahan Village enjoys a great range of onsite facilities just minutes from the iconic Gordon River. Originally a mining port, this charming town is better known as a fishing village and offers plenty of stunning natural attractions. Located in Queenstown at the centre of Tasmania's west coast, the West Coaster Motel offers spacious, well-appointed accommodation and a convenient range of onsite facilities. Surrounded by stunning scenery and country villages, the motel enjoys easy access to attractions such as railways, mines, rivers and wilderness.